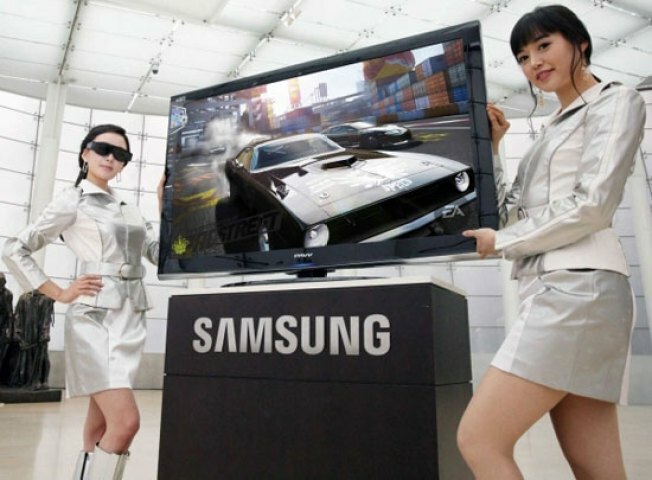 Samsung doesn't think there will be non 3D TVs anytime soon. No one wants to wear 3D glasses. The industry knows this, and Nintendo has only made the point more prominent with the universal excitement for its 3DS in the face of hesitation for 3D in general. Early adopters will scoop up the glasses-required sets, but when can you and I expect to enjoy some three-dee? Samsung, which has been pushing out 3D TVs alongside all manner of requisite glasses, is worried that while the technology is in place to have television sets that deliver three-dimensional viewing without the annoying spectacles, it won't be cheap enough — or robust enough — to have it ready for the mass market. …BK Yoon, Samsung Electronics' visual display president, said 3D without glasses is relatively easy to bring to mobile devices, but is a bigger challenger for 3D TVs. Backing Yoon's argument are analysts who say it will take at least five years before glasses-free 3D TVs are sufficiently mainstream. The market right now suggests that Yoon is on the right track with his thinking. A competitor such as Toshiba, for instance, is putting 20-inch and 12-inch 3D TVs on the shelves that cost $2,900 and half of that, respectively. Sure, things might look eye-popping and all that, but those things will be small.